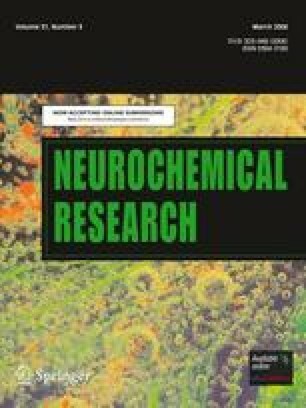 The abnormalities of metallochemical reactions may contribute to the pathogenesis of Amyotrophic Lateral Sclerosis (ALS). In the present work, an investigation of the elemental composition of the gray matter, nerve cells and white matter from spinal cord tissues representing three ALS cases and five non-ALS controls was performed. This was done with the use of the synchrotron microbeam X-ray fluorescence technique (micro-SRXRF). The following elements were detected in the tissue sections: P, S, Cl, K, Ca, Fe, Cu, Zn and Br. A higher accumulation of Cl, K, Ca, Zn and Br was observed in the nerve cell bodies than in the surrounding tissue. Contrary to all other elements, Zn accumulation was lower in the white matter areas than in the gray matter ones. The results of quantitative analysis showed that there were no general abnormalities in the elemental accumulation between the ALS and the control group. However, for individual ALS cases such abnormalities were observed for the nerve cells. We also demonstrated differences in the elemental accumulation between the analyzed ALS cases. The authors are grateful to the Ministry of Education and Science, State Committee for Scientific Research grant 112/E-356/SPB/DESY/P-05/DWM728/2003–2005 and IHP-Contract HPRI-CT-1999-00040/2001-00140 of the European Commission. Thanks are also due to The European Community-Research Infrastructure Action under FP6 “Structuring the European Research Area” Programme (through the Integrated Infrastructure Initiative “Integrating Activity on Synchrotron and Free Electron Laser Science”) and Experimental grants: HASYLAB II-02–092 and ESRF LS 2111.